December is here, snow is flying and the days 'til Christmas are counting down. Christmas is such a wonderful time of the year! I love making memories with family and friends, reading stories to the kids cozied up by the Christmas tree and remembering to be thankful for these special relationships and for the ultimate gift of all, Jesus Christ. We've been baking "birthday cookies" for Jesus this week and the kids love it! Maybe you have all of your Christmas shopping finished OR perhaps you're scrambling for a creative gift idea. Wherever you are in that broad spectrum, finding the perfect gift to bless someone special can be a daunting task! 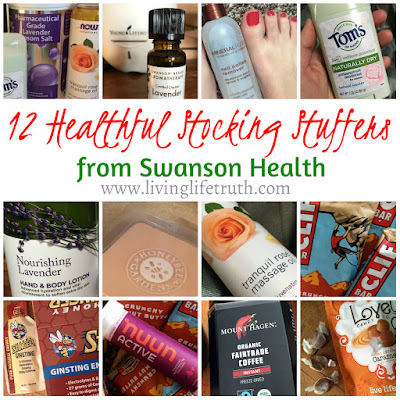 Today I want to share a list of my favorite Swanson Health products to help you on the "perfect gift search". 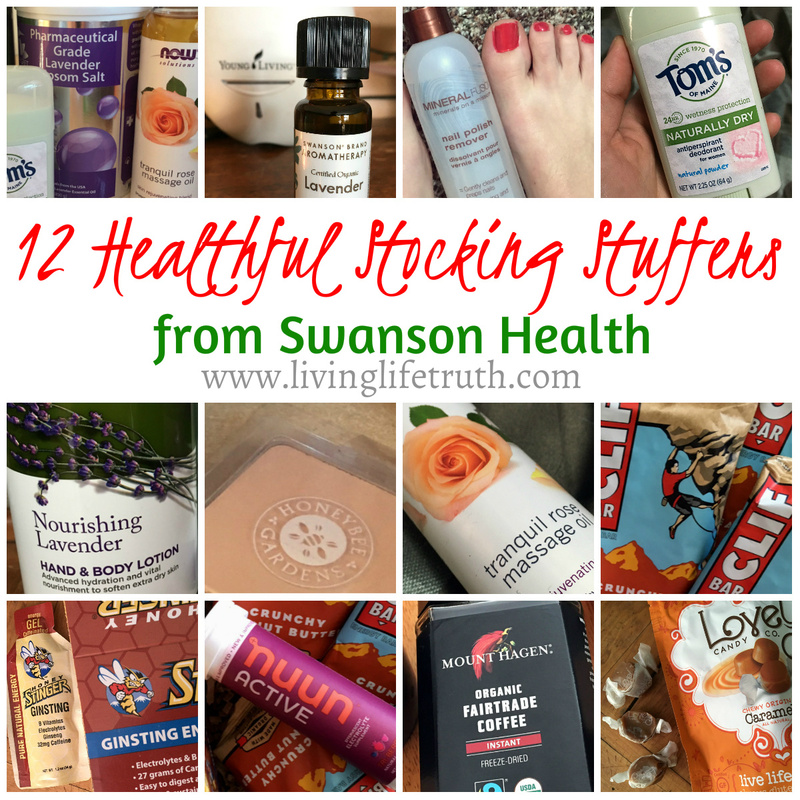 I love Swanson Health's variety of health products and their affordable prices. Simple, thoughtful and health-minded gift ideas that don't break the bank! Plus, Swanson Health is spreading the Christmas cheer by generously giving a $100 gift card to one of my readers! Enter at the bottom of this post after checking out this stocking stuffer list. Excuse my bad paint job and beaten up nails. The last two marathons destroyed me! Avalon Organics' lotion to put on after an epsom salt and lavender soak. Be sure to enter below for a chance to win a $100 Swanson Health gift card! Life to the Full & Swanson Health Products Winter Giveaway The giveaway is open to US and Canada (excluding Quebec) residents, 18 years of age or older and the offer is void where prohibited. This giveaway was sponsored by Swanson Health Products. The giveaway runs through December 19th. Which stocking stuffer is your favorite? Linking up with 12 Days of Giveaways. Those epsom salts would be pretty heavenly after this past week of running... amazing how much building mileage after an injury wears your body down. I bet that chocolate would be fun too... love some good chocolate! Epsom salts are the best!!! My hubby always finds fun snacks for my stocking- I love it! Dark chocolate in my stocking would be great! i love honey stinger gels!